There is something unique and romantic about tying the knot outdoors – like a beach wedding. The beautiful backdrop has an additional charm that makes your day even more special. 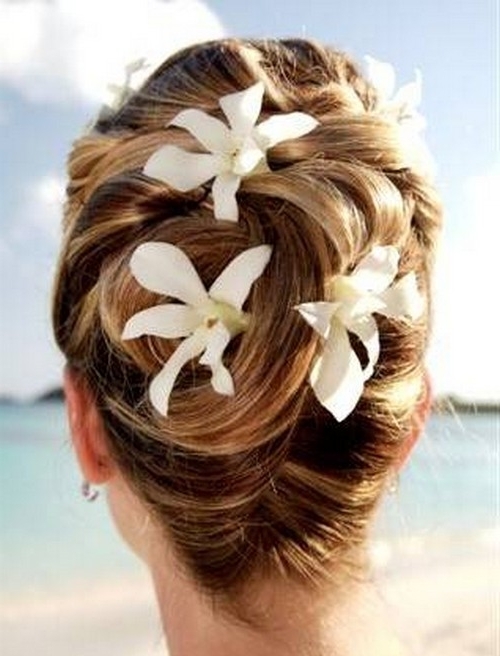 For a beach wedding, you need to select a hairstyle which would go with the theme, also being able to withstand the sweet-salty air and the sun for an entire day. 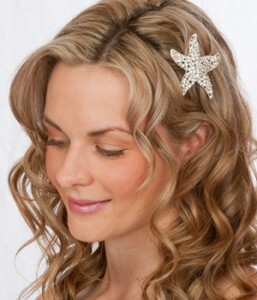 No matter which style you choose –classic, vintage or modern – it has to be easy and flowing so that you can use the gentle ocean wind to your advantage. 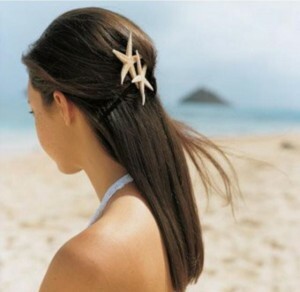 Long wavy locks, loose side braid or half up hairstyles are perfect for a beach wedding. You can always add some tropical flowers or a floral tiara as hair accessory.